Thursday, the five darlings of my heart bequeathed to us a little somethin' somethin'. (No, they didn't drop FOUR a month early. You can exhale now.) 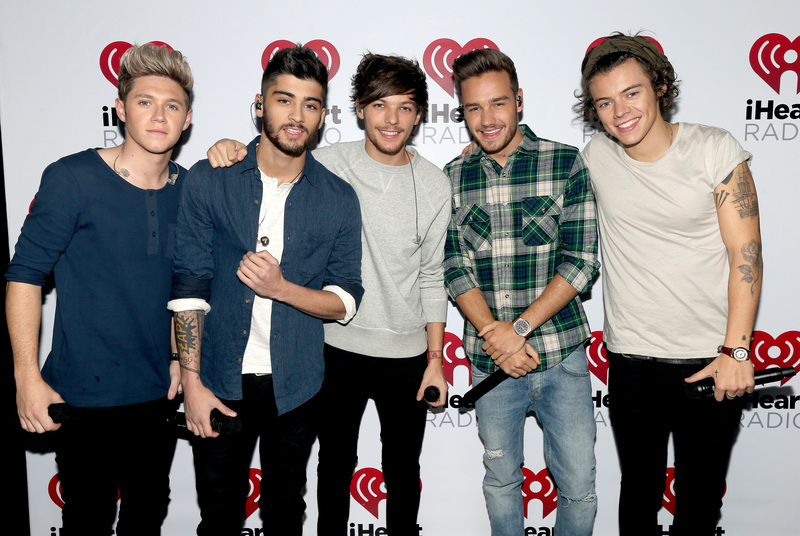 UK boy band One Direction shared the complete track list for their to-be-released fourth album. Ugh, as if my appetite was not already whetted! We're so close to FOUR, y'all. SO CLOSE. So, what does one do with this list of 16 song titles? Oh, I'll tell you what this one [points at self, wiggles head] did. This one [keeps wiggling head] attempted to guess what each song is about by using only the titles as clues. "Steal My Girl” : No need to guess. The song's already here. NEXT ONE! "Ready to Run”: A PSA about the importance of warming up your muscles before you go on a morning jog. Gotta be ready before you run! Otherwise, you could pull a gam! "Where Do Broken Hearts Go”: What happens to the organs that are removed and replaced when humans undergo heart transplants? This song follows a discarded heart's journey. "18”: Totally about NFL quarterback Peyton Manning. "Girl Almighty”: Bruce Almighty told from point of view of Jennifer Aniston’s character. "Night Changes”: A story about a man who morphs into a different animal every night. "No Control”: An experimental song. No control in the recording studio. Pure chaos. "Spaces”: A bunch of shout-outs to the best spaces to land on while playing Monopoly. "Stockholm Syndrome”: A musical adaptation of a chapter from a Psych 101 textbook. "Change Your Ticket”: A song about an attempt to get the city to waive a parking ticket. "Illusion”: Equates a relationship to a Magic Eye book. The moment you uncross your eyes, the love vanishes. It's just a big ol' squiggly mess. "Once in a Lifetime”: I assume this is about what it's going to be like for fans to listen to FOUR for the first time. Yes, we can play the album again and again, but nothing can replicate that first listen! "Act My Age”: The 1D guys sing about being responsible, mature 20-somethings. But then, during bridge of the song, they make fart noises with their mouths. GOT US!